Featuring up to the latest Android operating system, Lenovo tablets are great for entertainment and productivity. Perfect family devices, they're easy to use for kids, grandparents, and everyone in between. 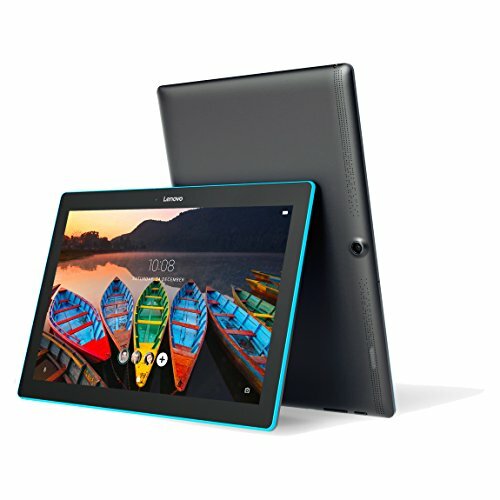 The Lenovo Tab 10 has features that let you separate personal profiles and app configurations for every user, including your kids. The kid's mode allows app and time limit control for a safer and controlled browsing environment for the young and impressionable. It comes with a superb 10.1" HD display, dual speakers audio technology, the latest Android OS 6.0, large internal storage for music, games and photos. Plus an all-day battery life for your family's entertainment needs. Multi-User Sharing: All members of the family can share this versatile tablet, with separate personal profiles and app configurations for every user. Long-Lasting Battery: Watch movies, listen to music, play games for longer! The Tab 10 battery gives you an amazing 10 hours of entertainment on-the-go.